While a spontaneous trip can yield delights and discoveries, when one is not, ahem, paying attention, it can also make for an awkward situation. On a Sunday we decided to hop in the car and see what we could see in Nuremberg. Had we even done a few minutes of planning before we left, we could have found the “Family Time in Nuremberg” website. We could have learned about the Children’s Museum, the Train Museum, the many City Parks, the Imperial Castle or even the Dungeon Museum. Nope. Didn’t see any of that. 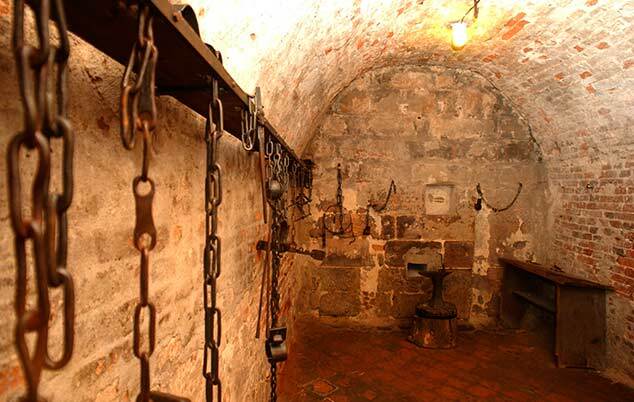 We could have visited the Dungeon Museum in Nuremberg. Instead we saw a very different kind of rack. 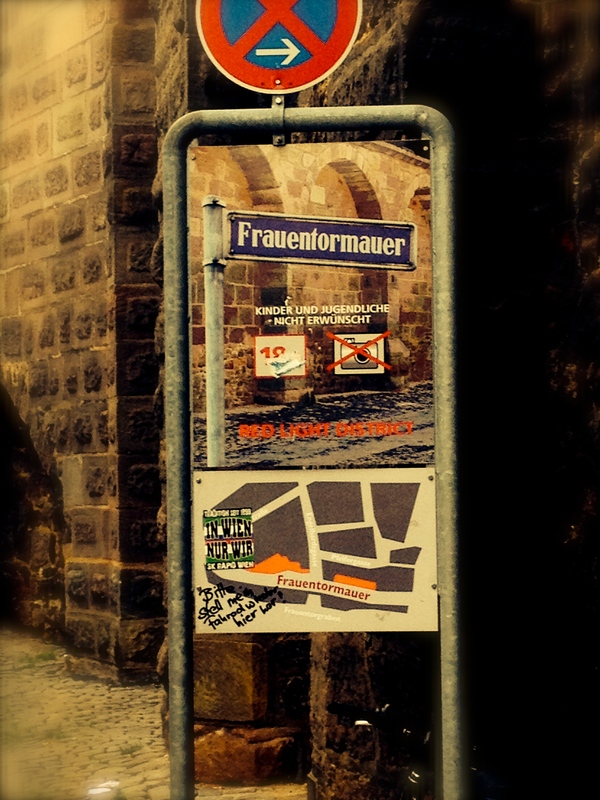 Photo from Nuremberg Tourism Bureau. And we did, in fact, see signs for tourist information. But instead of walking outside the wall along the busy street, we followed the wall on the inside, looking at the architecture as we trooped through the street with E on our shoulders. Did I mention we also had the dog with us? In a few minutes, we realized that the neighborhood of bars and nightclubs we were in had a certain theme about it. In the windows were women of all ages and sizes in various states of undress. Then we noticed that they were all scowling and shaking their heads at us. We looked at each other. We looked at the buildings. We looked at the nervous middle-aged man desperately trying to walk away from us. So Nuremberg has a Red Light District. And we took our 3-year-old there. And we are forever grateful that, as is true for most 3 year olds, he was far more interested in the pigeons on the sidewalk than the ladies in the window. There was a sign warning us. We walked right past it. Must have been distracted by all those pigeons.